Brief Synopsis – A simple postman learns lessons about life and love when he befriends an exiled poet living on small Italian island. 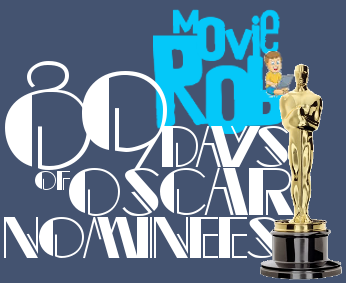 My Take on it – When doing my research for this series, I was pleasantly surprised to find out that I had to travel back 21 years of Oscar before I found a nominated film that I had yet to see. The reason is actually quite simple and it has to mainly do with the fact that I’m not a fan of foreign language films and as much as the premise of this love story intrigued me, I shyed away from it for decades. The truth is that this is realky a lovely story about a simple man, living a simple life in a simple town who wishes for his life to remain that way. His meeting and eventual friendship with the exiled poet changes all that because he then begins to learn more about the world outside of his small community and it intrigues him. Their conversations cover a very wide variety of topics including religion, politics, poetry, history, friendship and love. The musical score of this film is also quite simple yet elegant and helps the flow of the film so much. I can understand how people could think that this film was among the best of 1995, but the fact that its in Italian and not English just didn’t allow me to connect fully despite really wanting to. This is an issue that I’ve always had with foreign language films and I can’t really explain why it is like this for me. I can only think of a handful of non-English Language films that I can say I w s able to fully enjoy. Bottom Line – Such a simple yet powerful movie because it tells such a beautiful story about innocent souls living in a complex world filled with religion, politics, poetry, love and friendship. The musical score is so catchy and gives the film a feeling of realism and simpleness. 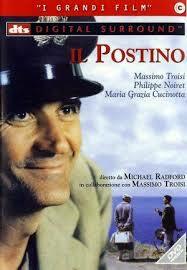 Troisi is superb in the role of a lifetime (literally) and helps us love his character and the story so much. Recommended!